Build cross-platform mobile apps that seamlessly connect employees to enterprise processes and data. Mobility offers huge potential to increase the happiness and productivity of increasingly distributed employees. But achieving mobility in an enterprise context requires very different tools to the consumer app world, requiring the delivery of apps which are fully connected to enterprise data and processes. The rising proliferation of mobile devices in use today is adding new gaps in oversight as workers adopt unsanctioned apps and workarounds to help maintain their productivity when they’re out of the office. In response many organizations are building mobile apps that attempt to ape the visual and functional attributes of successful consumer apps – but such consumer apps are a poor template for the demands of enterprise mobility. Delivering digital experiences for the enterprise requires us to go beyond a focus on operating systems, apps and devices and instead focus on mobilizing the existing process and information infrastructure of the company. It is maximizing the ability of users to access information and processes from anywhere that unlocks the value of enterprise mobility – disconnected devices and apps simply become another source of delays, errors and insecurity. RunMyProcess makes it easy to quickly build cross-platform mobile apps that automatically adapt to different devices and are seamlessly integrated into the wider back-end processes and systems of the enterprise. By using our drag-and-drop app designer you can easily create, test and deploy device-independent mobile apps, before publishing them into your own ‘Enterprise Process Store’. Device access policies – e.g. PC, tablet, mobile – are a matter of configuration. Equally importantly our process management and out-of-the-box integration connectors make it easy to link your mobile app to a broad range of systems – including SaaS services like Office 365, on-premise ERP systems like SAP and other bespoke and legacy applications. RunMyProcess enables you to use our drag-and drop editor to create new applications that can be accessed from any location and device - including the ability to move from device to device during a single process. Once deployed, our Enterprise Process Store provides a private 'app store' experience for employees, enabling device-independent access to all apps together with a unified process and task notification framework. 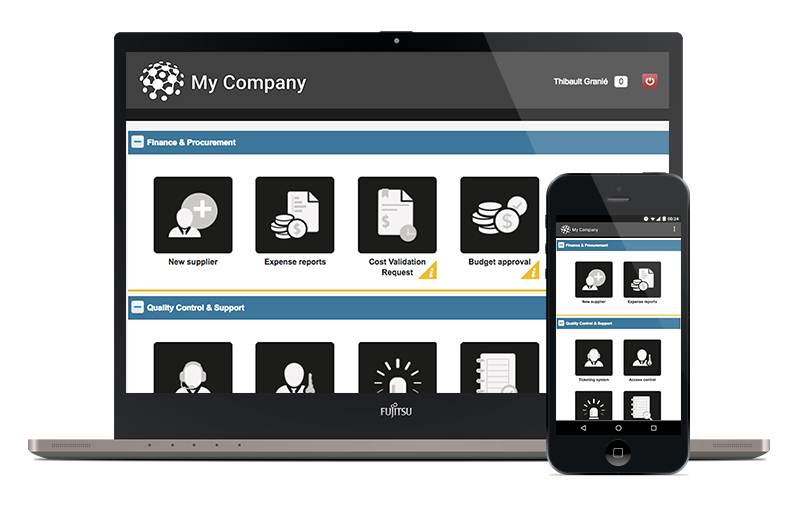 RunMyProcess provides sophisticated process management capabilities and an extensive library of integration connectors, making it easy to integrate mobile apps with many other cloud, social and on-premise systems and devices. Equally importantly, RunMyProcess's API management capabilities and NoSQL data support also make it the perfect back-end to support native application development for more demanding requirements. RunMyProcess enables you to build, test and publish mobile applications faster using powerful drag and drop tooling together with full end-to-end lifecycle management and automated publishing to your Enterprise Process Store. When coupled with powerful integration and reporting these capabilities enable you to get mobile apps into the field as quickly as possible before extending and integrating them further in rapid iterations based on real world data. RunMyProcess offers an additional prototyping environment that makes it easy for IT and business users to create and publish fully working mobile apps in a matter of minutes. By making it easy to capture, publish and test ideas our rapid prototyping framework enables faster understanding of field requirements, ensures that business needs are clearly understood and guarantees that follow-on IT investment will create the necessary value. 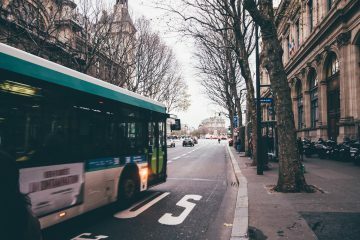 See how RATP reduced incident reporting time from at least 24 hours to 30-60 seconds using RunMyProcess.